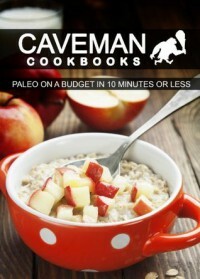 Paleo On A Budget In 10 Minutes Or Less (Caveman Cookbooks) - M's blog. Overall, a good book. Maybe if I'm not such a sloth I'll try the breakfast recipes. Someday. Will recommend this book for my mom who likes cooking.